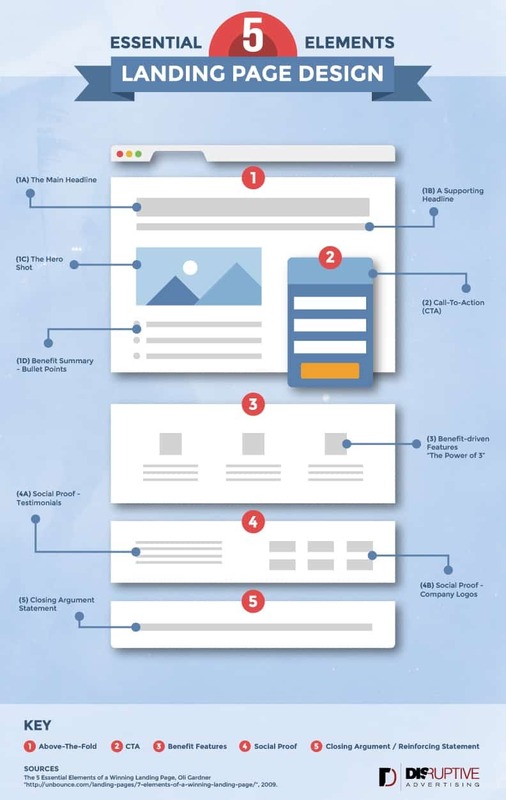 The following article provides a great overview of how Google Ads works. 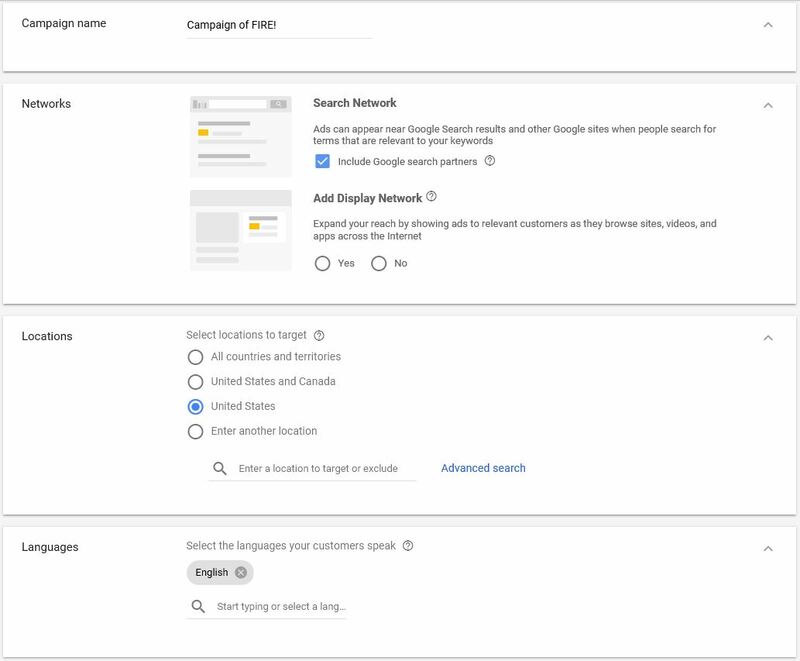 It was published in 2018 before Google changed Adwords to Google Ads but its content is still really relevant to campaign planning and management. Unfortunately, you’re not the only business out there who wants clicks from Google users. To make sure that your ads are seen, you have to outbid the competition. 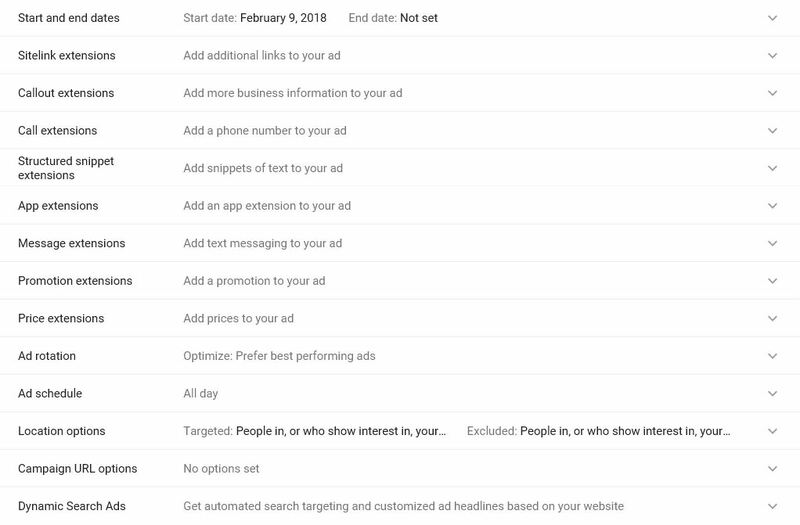 The Google auction is a lot like any other auction, except that Google cares about more than just your money —they also take the relevance and quality of your ads into account. Quality scores range between one and ten (ten is the best, one means your ad and/or landing page need some serious work). 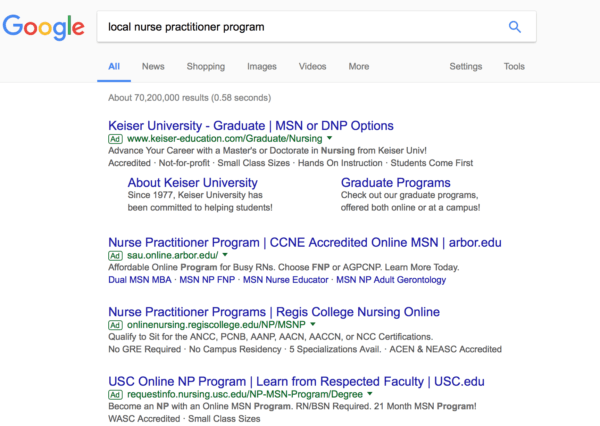 New keywords or keywords that haven’t had any clicks for a while have a “null” quality score which just means that Google is waiting for more information before they assign you a quality score (no penalty or reward). For example, if no one knows about your business, you might want to run an awareness campaign to drive traffic to your site , but that campaign probably won’t produce a lot of sales. 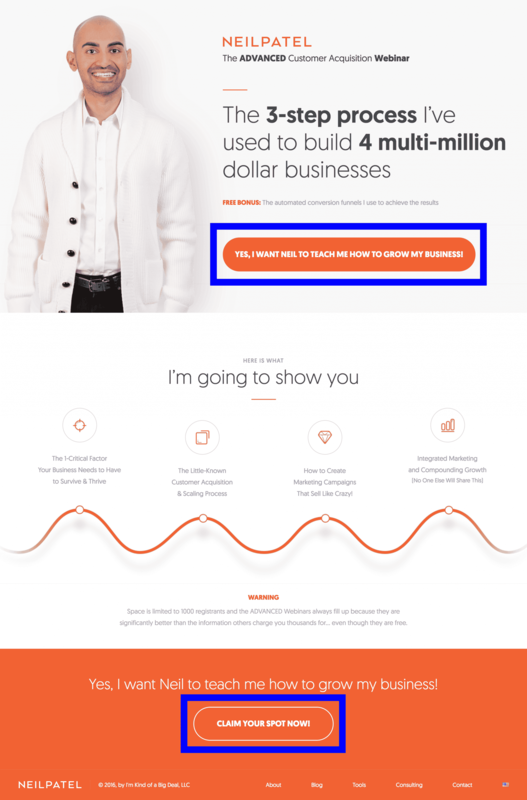 On paper, it might look like a waste of money, but in 6 months, when people have a need and remember that your business can help them, you might be glad your goal was traffic, not sales. 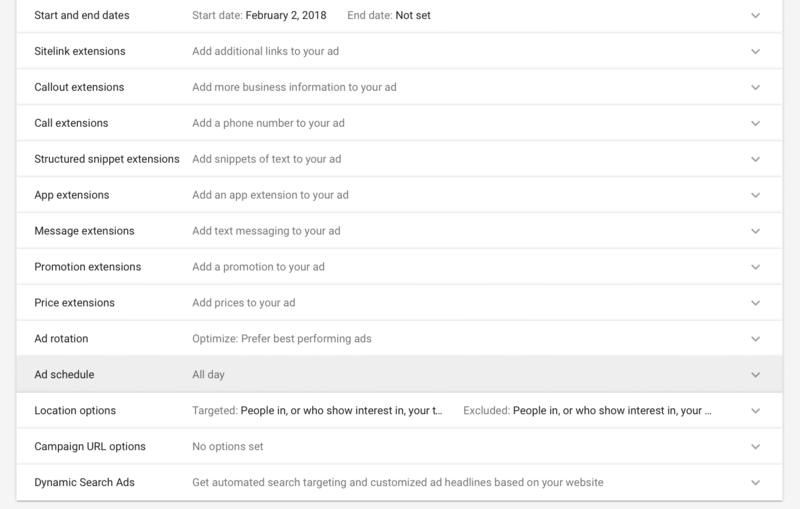 In fact, using ad extensions increases click-through-rate by 30-100% so adding or optimizing your ad extensions can dramatically improve the effectiveness of your PPC campaigns. Call extensions. Most mobile campaigns (especially for local businesses) should include this option. 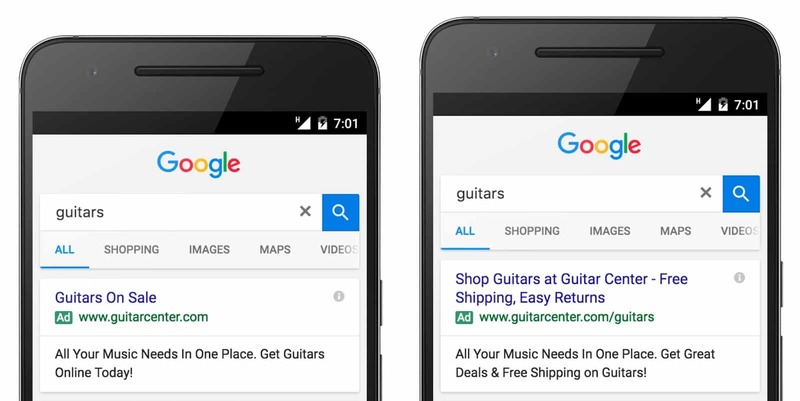 It allows searchers to call directly from your ad without even visiting your site. 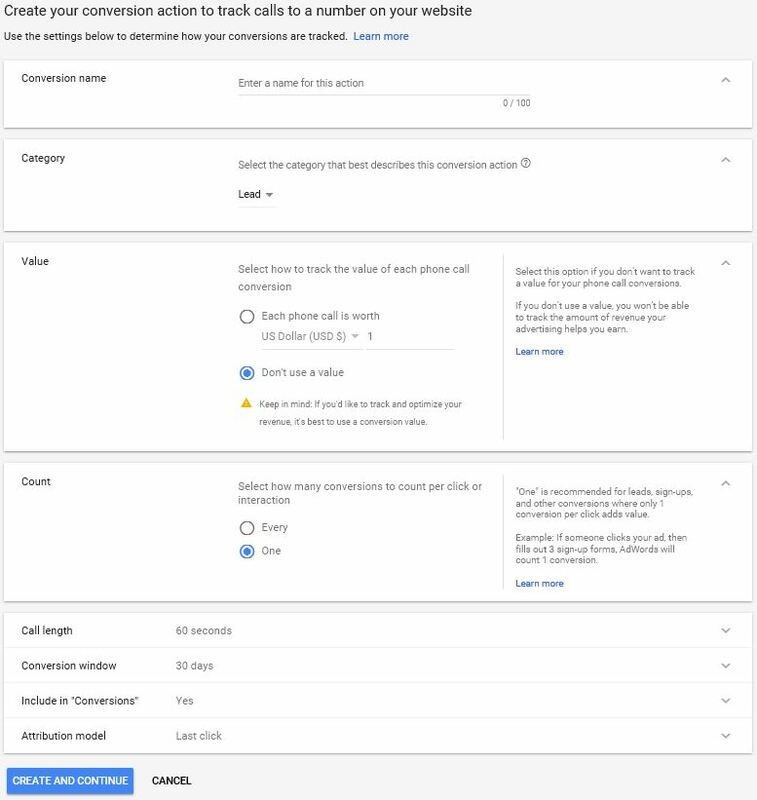 Plus, you can use call extensions to implement Google call forwarding, which will allow you to improve your conversion tracking. Hold your horses! 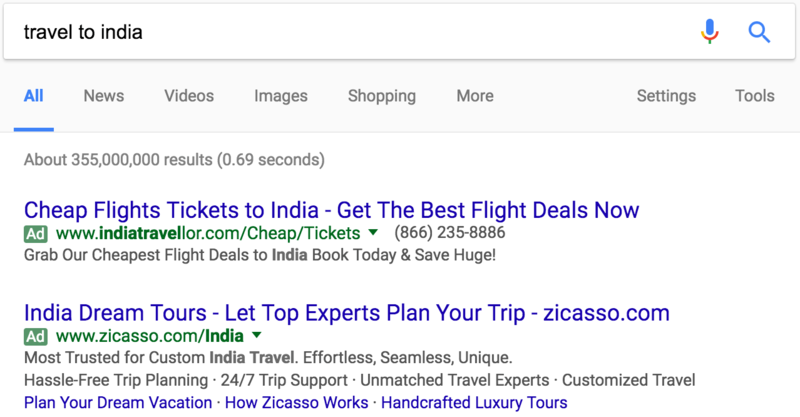 Before you get trigger-happy adding keywords, this isn’t the best way to build out a campaign—especially if you’re new to paid search advertising. In most cases, people search on Google because they have a problem that needs solving. In marketing, we call these “pain points”. The better you understand the pain your solution solves and how people look for a solution to their problem online, the better you can predict what keywords they will use. Generally speaking, most people are looking for something specific when they search online. 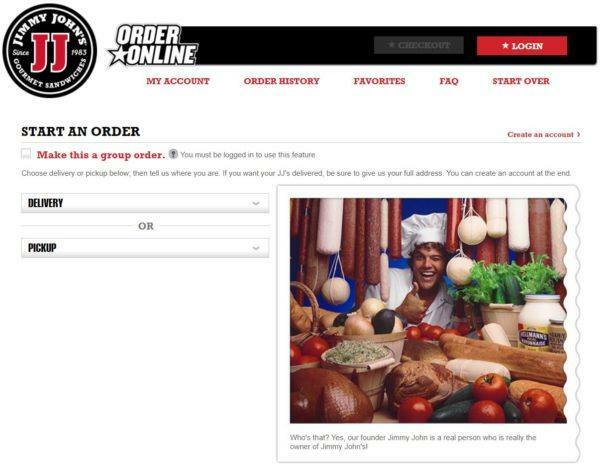 If you can figure out why your best customers love what you sell, you can use that information to identify keywords that indicate potential customers who would love what you sell, too. 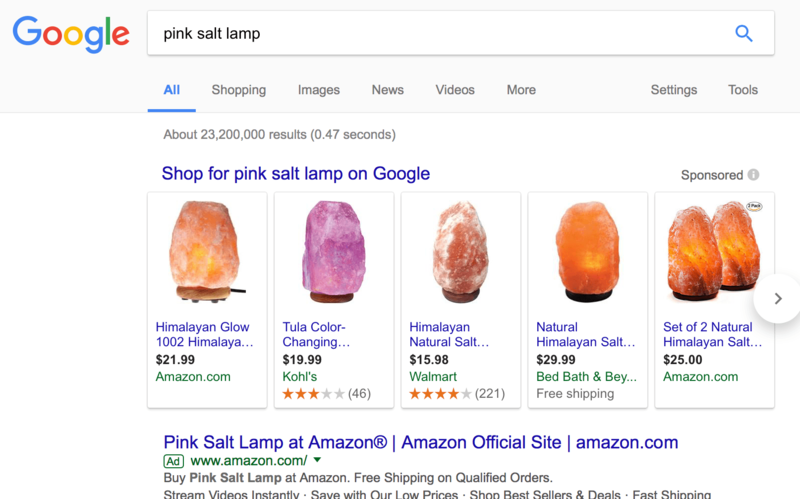 If you happen to already be doing online marketing, you can always directly ask your customers “How did you find us online?” or “What did you search on Google?”, too. But overall, learning how and why your customers found you is one of the best ways to start putting together a keyword list. If you really stretch your imagination, this graph looks like a Chinese dragon The head and body are short and the tail is very long (work with me here, it’s not my analogy). As a result, online marketers like to refer to keywords with 25+ characters as “long tail keywords”. So, if you want to make your claims more compelling, look for ways to add numbers or statistics to your ad copy. This can be as simple as pricing or as complex as results from a study you’ve conducted—just give people something solid to hold onto! No matter how emotionally and logically appealing your ad copy is, if people don’t read your ad, they’re not going to click. Fortunately, making your text ads more eye-catching is one of the easiest ways to improve ad performance. Ever buy a new car and suddenly everyone seems to be driving that car? In psychology, they refer to this as “selective attention“—we only notice something when it means something to us. 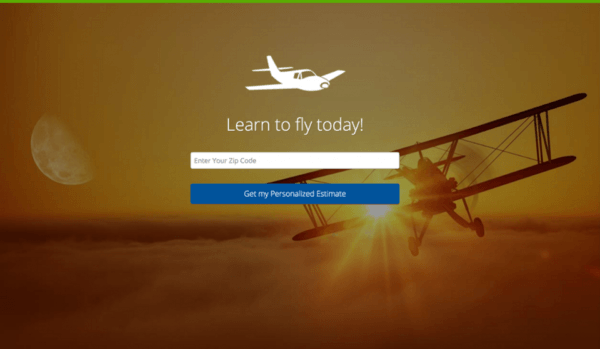 Landing page tools allow you to build and even host your landing pages using a third-party service. There are a lot of landing page tools out there, like Unbounce , Instapage or LeadPages that you can use to build landing pages for your Google AdWords campaigns. To get started, click the wrench icon in the upper righthand corner of your screen, then click on “Conversions” under the “Measurements” menu. 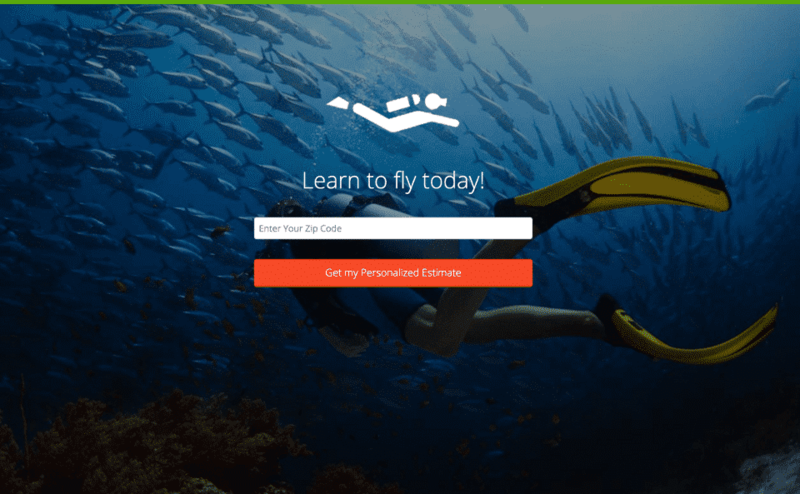 Website and phone calls are the two most commonly used options here, so we’ll cover those in this article (for more information about app installs and importing conversions, check out this article ). 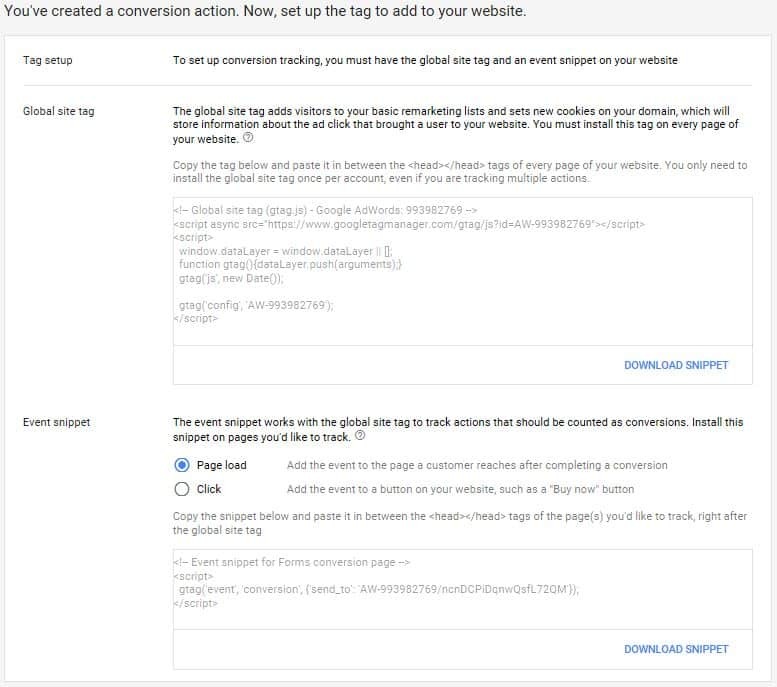 Essentially, the global site tag will “cookie” the browser of anyone who visits your site, tracking how they interact with your site and adding them to a list you can use for retargeting ads (we won’t get into those in this article, but for more information, click here. 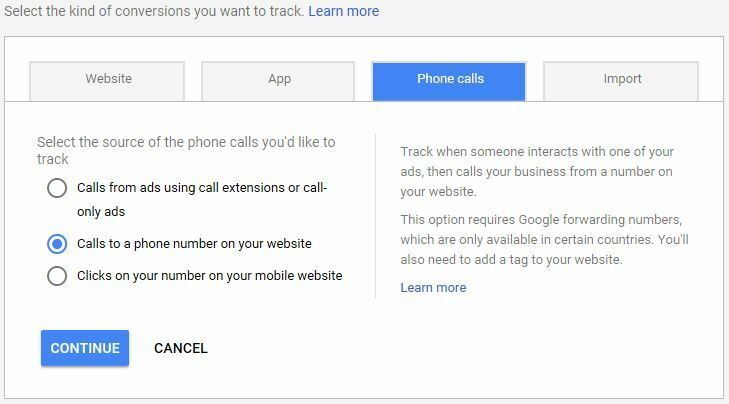 Finally, the third option allows you to track mobile users who click on your phone number to call you. Since people are actually clicking on something on your site, this is tracked a lot like a button click, so you don’t need to use a Google forwarding number. 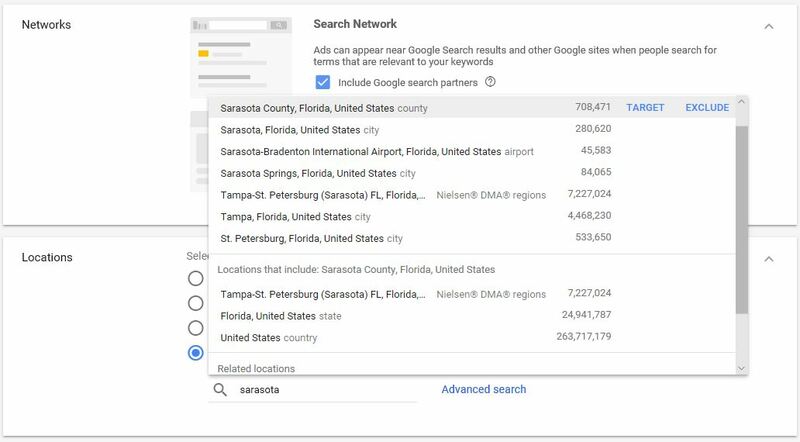 If you manage a Google AdWords account to supplement your organic search engine optimization efforts, you know there are a ton of metrics available to track and analyze, and it can quickly get confusing and overwhelming. 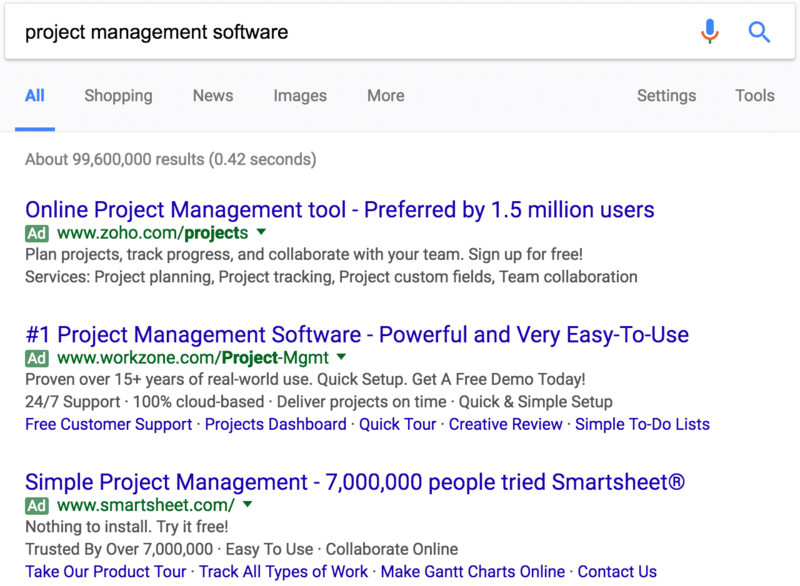 Since we all have limited bandwidth, it’s a good idea to narrow down the field to a short list of key metrics that really give you meaningful insight into what’s working — and what isn’t — in your paid search campaigns. These five metrics will give you the most bang for your buck. I’m not saying you should ignore all the other available metrics. But if you have limited time, these will give you a great overview of your performance, and tracking these five metrics over time will provide a solid measure of your success. It’s important to maintain good Quality Scores because Google uses them to determine your ad rankings as well as how much you pay per click. 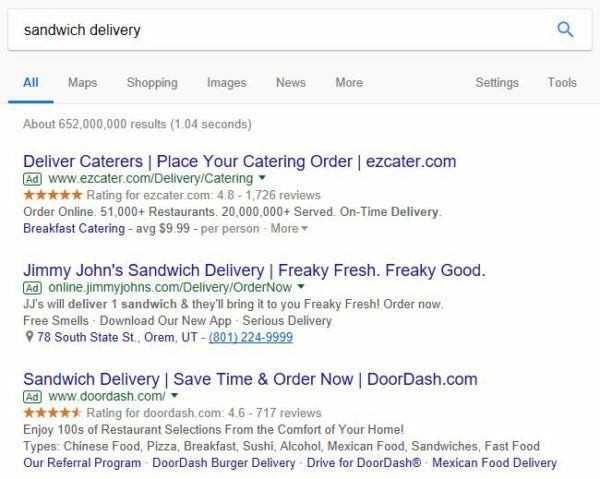 Even if you think you’ve dotted your i’s and crossed your t’s when it comes to keyword research, campaign structure, and ad text optimization, low average Quality Scores are an indication that you’re missing some piece of the puzzle. 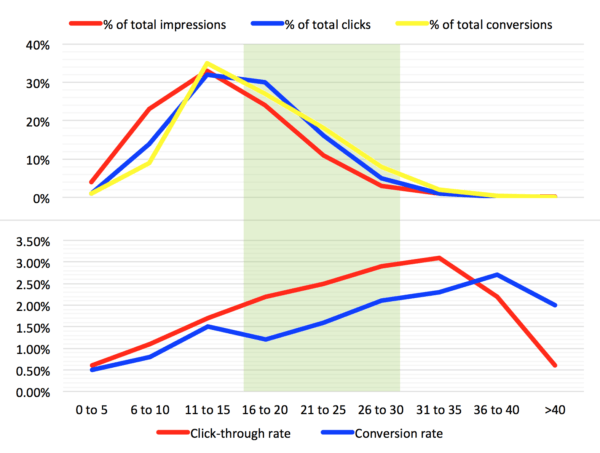 Low click-through rates are a sign that either your keywords or your ad creative (or both) need improvement. 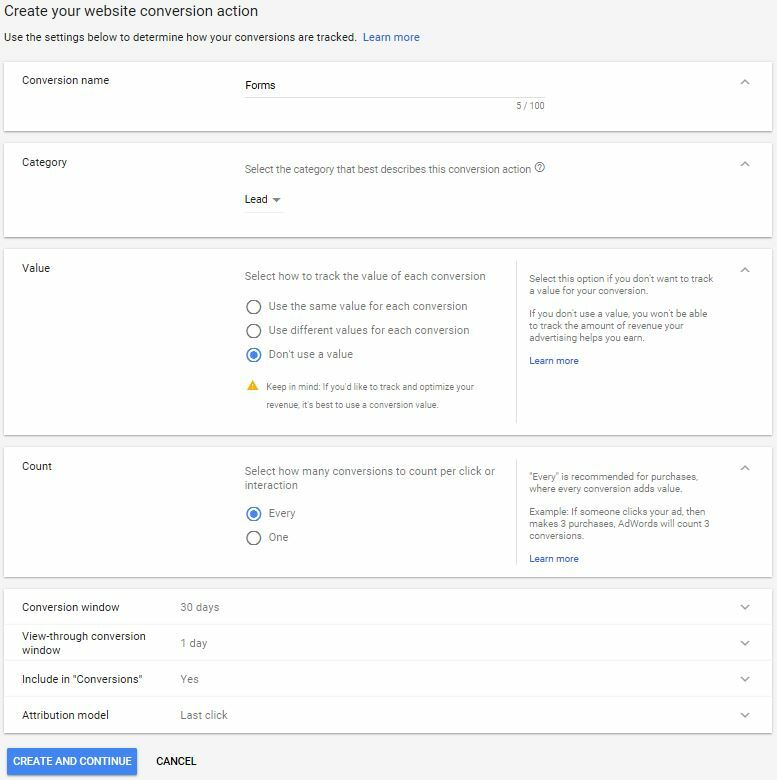 Another very popular answer in our PPC metrics interview, conversion rate tells you how many people who clicked your ad went on to complete the desired action on your landing page, whether it was making a purchase, signing up for a free trial, or filling out some other kind of form. Conversion rate is just as important as click-through rate – you don’t want to pay for tons of clicks and traffic if none of that traffic ends up taking a meaningful action. 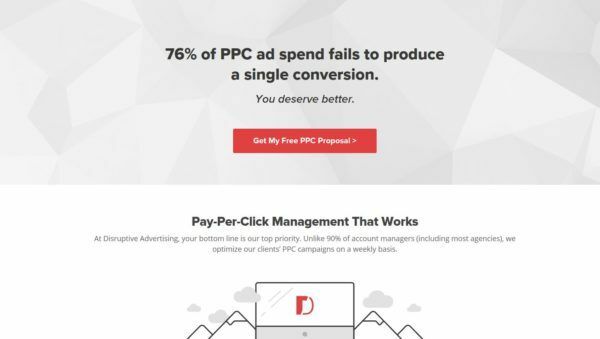 Strong conversion rates mean that the money you spend per click is coming back to you in profits (that’s what we call return on investment, folks). As Joe Vivolo of KoMarketing Associates put it, “This obviously is the number that makes or breaks a campaign from a success/failure standpoint.” In other words, if you have to pay more to gain a new customer than that customer is actually worth to your business, then your campaign is failing; you haven’t attained a return on investment. 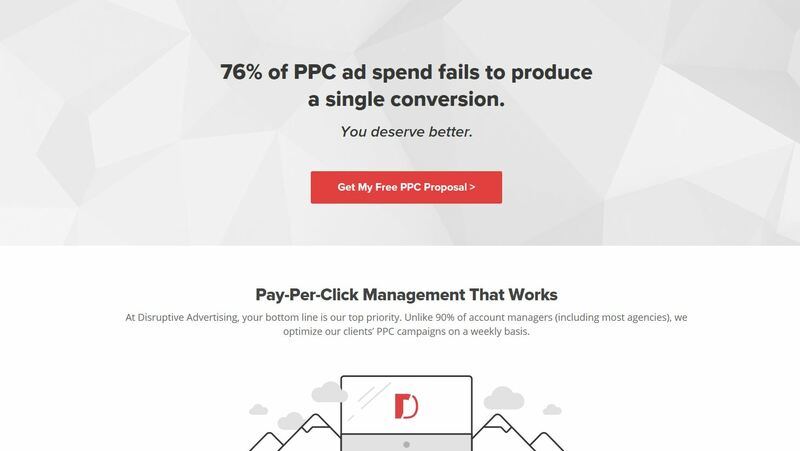 Wasted spend is a measure of how much money you’re essentially pouring down the toilet by paying for clicks that don’t convert. In other words, it’s an ROI killer. The best way to reduce your wasted spend is through smart use of negative keywords. Negative keywords allow you to filter out traffic that is irrelevant to your business and unlikely to convert. By creating a negative keyword, you’re preventing your ads from displaying for search queries that contain that keyword. Bidding on non-converting keywords is a waste of your marketing budget. 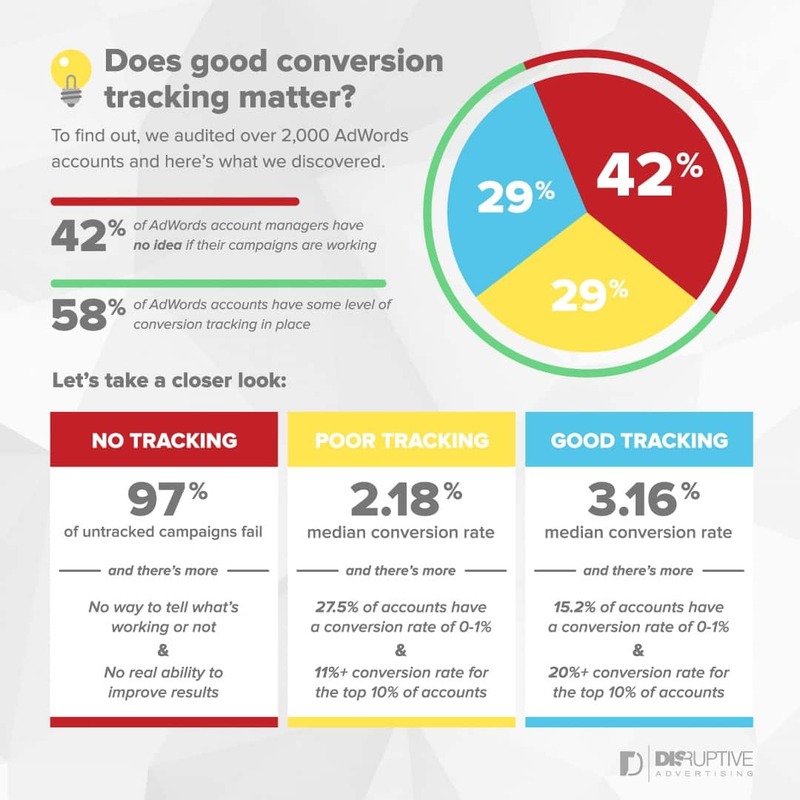 How Does Your AdWords Account Stack Up? Want a quick way to check your performance for key metrics like these? 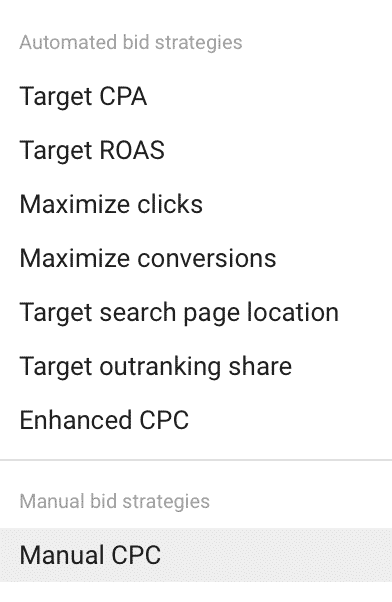 The AdWords Performance Grader is a free tool that performs an instant PPC audit on your AdWords account, comparing your performance in areas like Quality Score and wasteful spending to other advertisers in the same budget range. It’s an easy way to see how you measure up to competitors and to benchmark your campaigns so you can track changes (hopefully improvements) in your results over time. 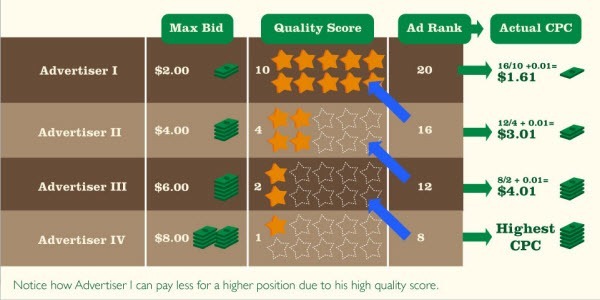 Now let’s examine a few of the common misconceptions around the AdWords Quality Score. Whether you use broad, phrase or exact match for a certain keyword, the same quality score will apply to each one. 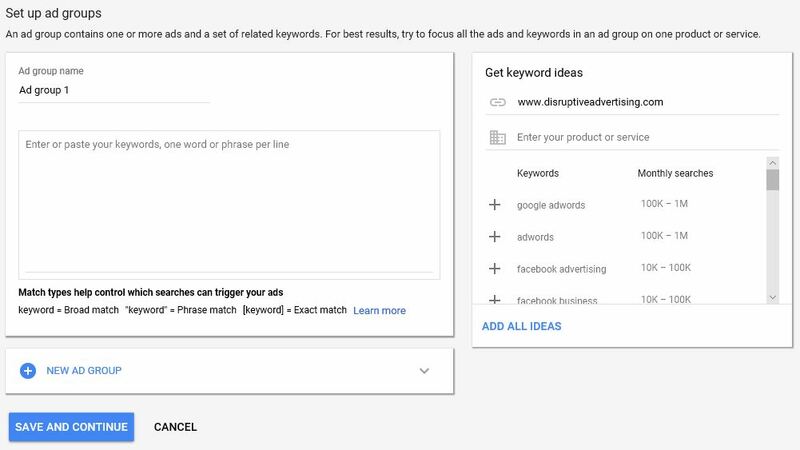 Since the quality score that is assigned to a keyword is dependent on the query rather than the match type, changing the match type will not alter the score. Choosing to pause specific campaigns does not affect your quality score because the score is based on performance. 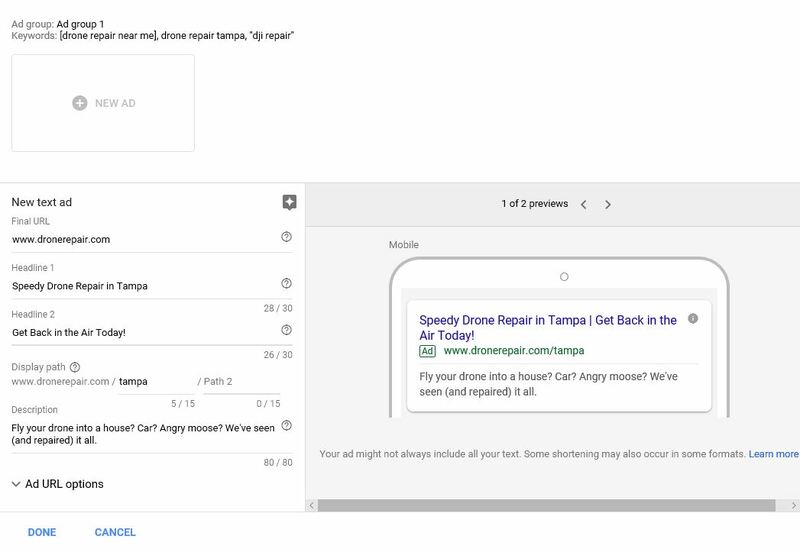 When keywords or ads are paused they aren’t active and will not continue to be scored. While a strong quality store can result in higher ad positions this does not mean that your ad position influences quality score. When your quality score is being calculated, Google considers the influence that ad positioning has on click-through-rates and makes adjustments to reduce the bias. Other factors such as the ad format that is being used will also be factored into the formula to normalize your score. Bidding for higher positions in an attempt to increase your quality score is an ineffective practice. 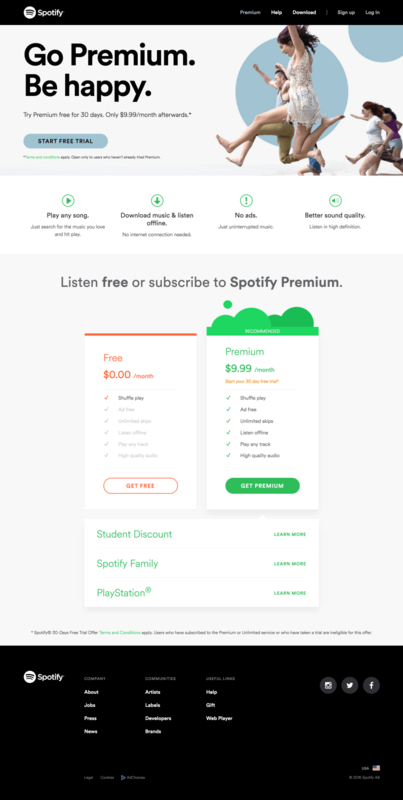 As long as the setup of your account doesn’t affect user experience then it shouldn’t change your quality score. This encompasses campaign names, number of ad groups and placing keywords into new ad groups or campaigns. For example, moving a keyword to a new campaign will not influence quality score as long as the elements of the group are the same. 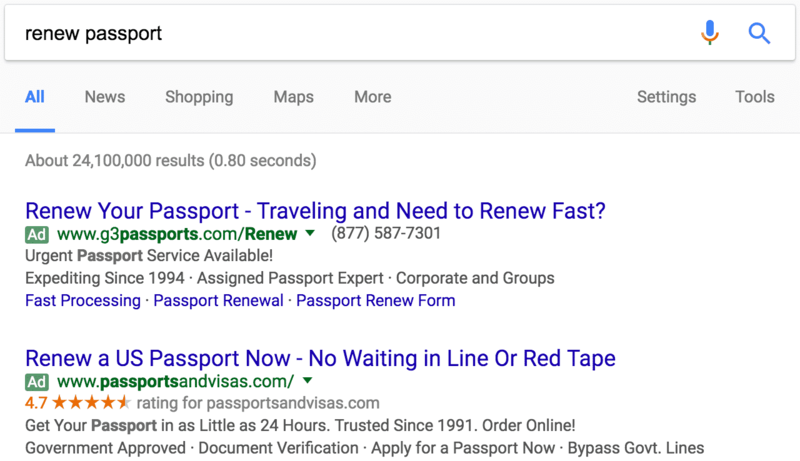 If the keyword is switched over to a group that has new ad text or a different destination URL then it can impact user experience and ultimately your quality score.